VB A high-performance culture is a set of behaviours and norms that leads an organization to achieve great results by setting clear business goals, defining employees' responsibilities, creating a trusting environment, and encouraging employees to continuously grow and reinvent themselves. It also means that high performance culture is possible if the top management is willing to do the same. But the Top management should be not being tolerant with mediocrity. Organizations having focus more on performance get better business results and it is proven. High performance culture is possible with dedicated efforts. After all, we need to understand that business is set up for specific purpose; the main purpose is to make the impact on something and it is not possible without profits. You need money to make the larger positive impact. It is important to understand how employees are aware about such impact; how they understand that their each action has the consequences on the future. Understanding this creates the culture of high performance. VB It is a journey. If the organization and teams are dysfunctional and are in the trap of mediocrity, you need to do the surgery. It is about creating the example in the organization. It starts with C level executives. If top management favours somebody at the cost of performance, then it is very difficult to create the culture of high performance. Creating the system of feedback and two-way dialogue in the organization and system of handling poor performers. Strict but human approach while handling poor performance is necessary. Creating the eco-system and mental safety nets so that employees take risk, there is no high-performance culture without taking risk. VB HR role is to be a change agent and catalyst in the process. Main challenge of HR is their understanding about the business and their ability to respond to the new a way of working. 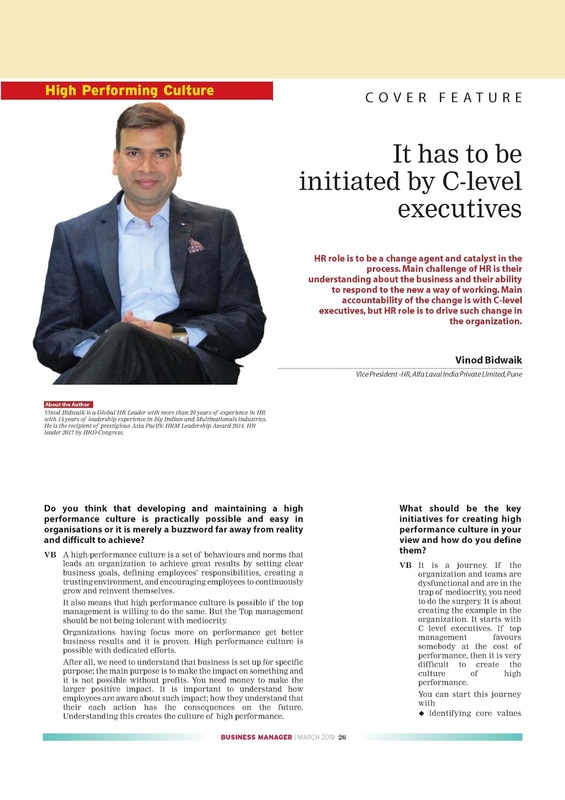 Main accountability of the change is with C-level executives, but HR role is to drive such change in the organization. HR also needs to know about the political and bureaucratic dimensions of the organization. Another challenge to HR is about understanding of human behaviours. Unfortunately HR professionals are not properly trained on the concept of HR business partners. In India the term HRBP is widely used but rarely understood, hence the big issue. VB Oh no. Not at all. High performance culture doesn't mean pressure and stress. You need to create the culture so that employees enjoy the work. There are organizations which have high performance culture with less stress. Optimum stress is necessary, but this does not mean pressure. It is the part of life. The question is how organizations support to handle this with best practices, policies and freedom to employees. Educating line managers to be leaders and not just supervisors. Too many layers slow down the decision making and energy of employees? How much time employees spend on internal issues instead of their core jobs or customers? How much employees are busy with conflicts and just ticking the processes? Are employees empowered & managers willing to take risks on their talent? Are there too many initiatives and people are spending their energy handling those? In organisations having diverse workforce and multi-generational effect where technology is fast coming in to mainstream employee processes, what kind of obstacles and psychological blocks you foresee in creating high performing culture and their possible solution? VB People fear because they think that they will lose something. People resist change because of fear; fear of losing power, job, position and status. I already said that creating learning organization is the key. Culture of learning and agility will support to have bigger impact and change. People change because of Pain, Gain and Vision. And these three also can be the psychological blocks. They don't understand that what they will lose, if they don't change, what they will gain something if they change and they don't see the larger, bigger picture of the change. Solution of psychological block is in same pain, gain & vision. Help them to realise this. What kind of Challenges are there in Planning Human Resource Strategies in an Ever-Changing Business? Business situation is dynamic. There are no ideal conditions now. Situation is always turbulent. Yesterday’s strategy will not work today. There is no one solution for all issues. You have to work on tailor made solutions of different talent and again as per the business need. These are main challenges. One of the major challenges, I see is aligning HR strategies with your business needs. With changing demographic landscape, the HR role is crucial. Right talent, right skillset, right & productive culture, creating solid leadership pipeline & creating specialist pipeline is very important. I came from the middle-class family. I educated from vernacular medium school till SSC. Teachers, that time, were more committed. I remember when our teachers use to take extra classes without any extra tuition fees. It does not mean that they were earning well, but their commitment to the teaching profession was high. My success still is in the commitment and values taught by my parents and committed teachers. It does not mean that it was best education system, but teachers were going extra mile and students’ success was considered their success. Our education system is focus more on instructions. It is a time to re-look the whole system. More focus on Modelling and experiential sharing should be given. Academics and theory make your foundation sound, but students should be allowed to make more experiments. To summarize with the education should be more practical, on the shop floor rather than in class rooms, with the use of technologies. What are some of the Different Qualities You look out for while hiring People? Apart from this their attitude is important. Of course, their knowledge and skills are important, but more important are their attitude and soft skills, like team skills, communications skills, his way of interacting etc. However, it purely depends upon his area of work. Winning professionals are successful because, they made experimentation. They learn from the mistakes and they excel in their profession. Most importantly, they succeeded in adverse conditions. There are no ideal conditions. I think their experience is motivation to the aspiring professional. These professional can support India by giving their inputs for making policies. They can be mentor and coach to the students and researchers. They can be viewed as role model. Let’s use their expertise. Unfortunately, their expertise is not fully utilized. In business colleges and institutes, these professionals are invited just for the rituals. Is there any motivation to these people to share their wisdom and expertise? There are autonomous industry association bodies, but does government invites these professional? Very few. I think their role should be recognized in economy and should be proper system of acknowledgement. Professional are happy to support the nation. My suggestion is “don’t stop learning.” Update your concepts on different HR practices. Benchmark with others and try to implement the best things. Improve on soft skills. HR success is not only for functional expertise but is on how you play the role of partnering the business. HR needs to be more credible and advise business leaders on their HR issues. Another factor is how you engage your employee with creating your own personal brand. So, network in the organization for selling your HR ideas. How Do You Recruit & Retain the diverse and ambitious Generation Y. Are they Really Ambitious? There are different perspectives to this. Generation Y from metro cities are different from Generation Y from tier 2, small town or rural areas. In totality they are different from each other. Students from metro cities have more opportunities due to their socio-economical background. When I look back and see myself, I think, I was the thinking the same what so called generation think today! They are ambitious because their social values. The youth from rural area may also be ambitious, but will not change the job so frequently, because his priority may be different. We recruit all these guys considering all these dimensions. The correct value proposition as per the generation’s requirement is required. The expectations and ambitions are high because there are lots of opportunities in the market. Their engagement is crucial. We need to understand their motive and drive first. They need Empowerment, Entertainment, Education, Enrichment, Enlightenment and Encouragement. What are the Biggest Pain Points for HR? As said by Jack Welch, business is the game and it is all about winning. The team that wins is the team with the best players. HR’s job is to field the best players. Biggest pain areas are deploying the right talent. I believe that talent is vital in business growth, but right talent is. The struggle of line managers is to identify the right talent in their team. Another pain point is engagement and retention of the right talent. Now a day, employees have lot of expectations; their target year in any company is, maximum 3 years. Their drive is totally self central but still believes on hardworking and performance. The issue is how to match their expectations. What is the way should follow to communicate with HR Department and top management team in effective handling of employees? HR is the culture and it is driven by the top management. Hence, HR is always important agenda on the table along with other business issues. How do you attract good people, retain the better performers and advance the best? We have the best practices in the company for all functions. The company brand is the solid. We adopt best in the industry. Do you have any Advice/Suggestions for Fellow HR Leaders? I have seen most of the HR professional don’t update themselves. What are the upcoming trends that you see in HR world today? There will be different roles in HR function itself. HR experts, HR services and HR business Partner. As per the drive of HR professionals, they can move in all these functions. Use of technology will be crucial for right HR decisions in Talent Management. HR business partners will be expected to play the role of advisers to business leaders supported by other two functions. They are expected to be change agent & drive the HR strategy. What Websites/Books/Magazines Do you Recommend to fellow Professionals in the industry? 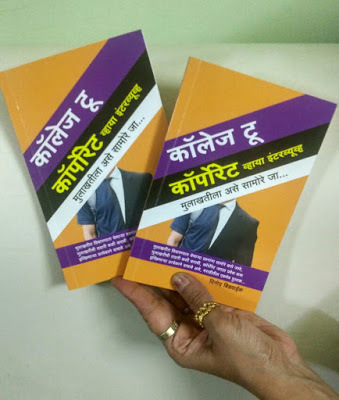 My others books in simple language are available on Flipkart, Bookganga and Amazon. How do You Identify Leaders and Promote them to the Next Level? Talent in the organization is calibrated and identified as per their potential. This is validated by different functional leaders based on their interaction with the person and his performance. The identifies potential also go through the development center. What are Some of the Leadership Development Programs which are being held and the what results have they achieved? We have to check the leadership life cycle in the organization. It starts with Leading self, leading others, leading managers, leading functions and finally leading business or enterprise. Development programmes should be in align with these leadership life cycle. I think leaders can be developed and the leadership skills can be taken at next level. We have programmes in place like Management Leadership Programme, Executive Development Programme, Inspirational Leadership Programme, Coaching Programmes. We are in the process to implement the Leadership Model across the organization. After graduation in Microbiology, I was into media sales for 1 year and then I joined for Masters in Personnel Management. My first professional stint embarked at Indian Steel, a heavy engineering Indian company in 1997. I was hired through the campus recruitment. It was a great generalist HR experience. I moved in Semperit Group, a European MNC when they entered in India through acquiring big Indian company in rubber compounding. I started heading the plant HR function with diverse work group and my job was to integrate the organization with MNC processes and culture. I also worked with Indian auto giant, Mahindra & Mahindra & one of the largest Media Group, Sakaal Media Group, on different leadership roles. Before joining Alfa Laval, I was with DSM India, the subsidiary of Royal DSM, Global MNC, heading the country HR function and HR transformation at Asia Pacific level. I worked in DSM almost 9. 5 years across all functions of HR; extensively worked there on Culture Agenda, HR transformation, Talent Management, salesforce effectiveness & organizational re-design. I also got the opportunity to work at Netherland and Shanghai on short- & long-term assignments. I like reading books, writing and mentoring young students and groom them for the corporate in my leisure time. 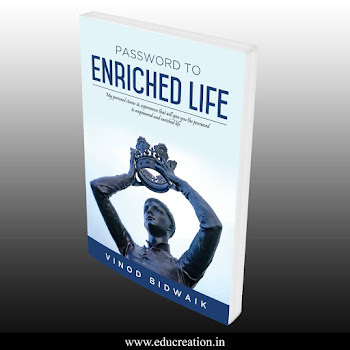 I have authored 6 books on self-help, management etc. My wife is doctor, she has taken a break and pursuing her hobby in art and my son is in 10th grade. In your opinion, what are the important points that any HR professional needs to take care of while dealing with diverse organisation environment? I think, HR role over a period of time is evolving. There are lot of expectations from HR from business leaders. HR needs to be more proactive and HR professional has to play different roles like, strategic adviser on people issues for people managers and business leader, facilitator for talent discussions and people development, challenger & change agent. They need to be functional expert in functional domain. They have to understand the nuances of business. They are also the gatekeepers for values and code of business conducts. At another side, employees expect better employee experience. They need simplicity and freedom of work. They expect HR to intervene if something goes wrong in the team, function or the organization. They also expect that HR should be fair and reasonable and devise simple policies. Another expectation is of transparency and openness. They expect HR to be a role model. Diversity is important; ensure the diversity but also work on inclusion. We should create the culture of inclusion and make diverse people conformable in the organization. Simplify systems & HR processes so that Managers and Employees feel comfortable to work with such systems. As in a new way of working managers have to pay the important role in all HR processes. Focus on right talent coming in the organization. Educate managers to identify the right talent as high potential, top potential. Talent Acquisition, Talent Management & Talent Development is crucial. HR should know how to do it. Leadership development and succession planning is another area where we need to have dedicated focus. HR analytics is one of the area where HR professional has to support business and managers on people demographics, prediction in attrition etc. And finally challenging ourselves and asking the question “Are we Future ready?” with right IT tools, new methods and systems, future capabilities in the world of AI, IOT and Bots. 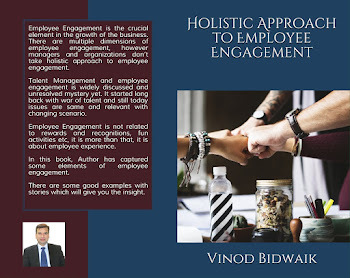 Along with above, we also need to have the balance between strategic & other tactical and operations HR issues so that we have harmonious employee relations and employee experience through different IT tools and HR service delivery. What are top 3 things from your experience you think are important in People management? 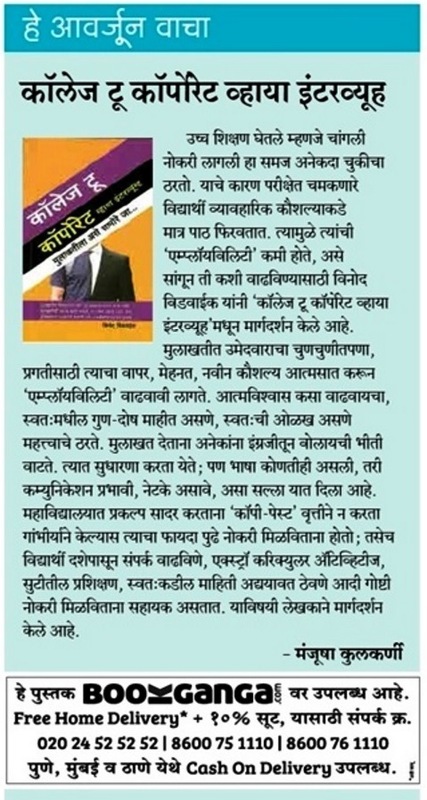 In people management, following are 3 areas which are very important. Understanding the future growth drivers and having the right skillset in the team; talent acquisition is very important and people managers should train themselves on hiring skills. Identify the talent in the team, be the coach for the talent and sometimes encourage him to take a larger role within or outside the function. What are Alfa Laval India priorities for 2019? Delivering on the budget with expected business growth is priority for all. India is growing market, market trends are positive, but competition is also high, in such situation staying the course is very important. Keeping employees engaged, skilling and re-skilling is important. We are having some global initiatives like product and application development competency building will continue in 2019 so that our sales team approaches customers with right mindset. We have just launched the Peoplepro (Workdday) successfully in India. It was successful because of involvement of managers and stakeholder. There will be few other modules like PDD, Hiring and Talent Management will be go live in 2019 & 2020. Priority is to ensure that managers and employees are comfortable to use the system and resolve their issues. Another priority is to stabilize the HR service delivery model. HR service delivery model in implemented in India in 2017, there were some hiccups initially, now the team is set up. We have also conducted the effectiveness survey and we will work on the improvement areas like response time, payroll integration etc. There will be structured and more focus on Talent Acquisition, Talent Management, and People development. We have already discussed the framework in aligned with global guidelines. We will talk more about talking talent and developing talent. What is your message to colleagues? Alfa Laval has very open and transparent culture. The company is best workplace to work. My appeal to colleagues is to be courageous to challenge and think differently. Be curious to know new things in your functional area. Be open to give new ideas and suggestion on how we can improve. We all need to work in a new way. Look for challenging business opportunities and continual improvements. While doing this, identify development areas and new skills to learn and take care of yourselves. You are starting the new journey of your life. This journey is not simple, it is not easy & definitely not as you expect. This journey of the life will have full bumpy rides. You are qualified to be independent and take your own decisions about your life, your career and your future. Whatsoever you will decide will have the impact on the future. Your actions will have the consequences on your future. And one important thing is that you and only you will be responsible for your actions. It is you who makes the difference. You have to navigate very smartly during this journey, understand the proper navigation system and of course Google is not yet come up with such smart system yet. I have few tips to make this journey beautiful, meaningful and productive. I will start with my story. When I was in the school, I had to cross the river to go at another side of the river. As the river was not much big, there was no bridge built on the river for commuting, we had to cross through the water, this was fun. However, in monsoon we had to worry because due to heavy rains, river used to swell & sometimes with full flood. and we had to wait to cross it till the water subsides. During one day of the monsoon, after heavy flood, water stared to subsides. I wanted to cross the river to go home immediately, but I was scared as still water was flowing. Few of my friends were courageous and they crossed the river. In life, there are perspectives. There is always another side, other side and we have to understand that other side, other perceptive in life. Please understand that you may be right, but others are also right. This is called as everybody know syndrome & we believe that people know all our actions and they understand everything. This assumption is dangerous and perhaps you may spoil the relationship. Find out the purpose in life. Always ask the why. Why you did specific course? Why you want to make the career in specific area? Why/ Why? Why? This will crystallise your thought process. Find out the Purpose of your job career, life. Your purpose may change after fulfilling the same. For time, your purpose can be simple, but work on this. I realised that purpose is very important, but I had to spend almost 10 years to understand the purpose of my career. Being generalists is good, but you need to be specialist in one. Find out that special skill? Special capability, special competency of yours’. Find out what is your core. Focus on core, nourish the core. You core can be anything. You will realise that you have more than one core and you can nourish that. The cores will help you to build the better career and better life. You may have different cores in career and for living a happy life. I took so many calculated risks in my life. I left the stable job which I got in Mahindra & Mahindra. Perhaps it was the dream of everyone to work in M&M that time. 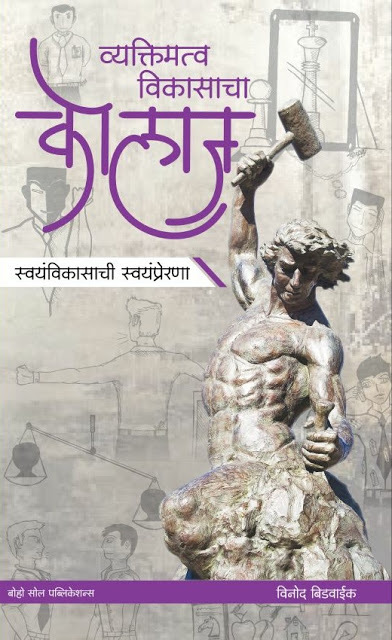 I joined the media company, Sakaal Media Group, different sector, differ culture. I learnt a lot in this process and my all experiences are enriching. I am here todays because I took risks in life, I took risks in profession. We tend to avoid conflicts. Healthy conflicts are necessary. Be courageous to take confrontations and conflicts. This does not mean that you fight or quarrel. Go for positive conflicts, healthy conflicts, challenge and put your opinion. Be assertive and don’t take everything. We can’t survive alone. We need people, allies, enemies, critics, friends, families to support you. They are integral part of the eco system. While dealing with different types of people you need to have interpersonal skills. You deal it with positively with right strategy. Educate and respect different norms but don’t get influenced. World is changing very fast. You don’t know what is in the future, but at least we can predict the future. There are new trends, new challenges, new opportunities too. If you want to grow in your career, make yourself redundant. Yes, allow to grow others and imagine, your skills today are not at all useful, what will you do? You will learn new skills to survive. Exactly so don’t wait for redundancy, instead make yourself redundant and try something new. Sometimes, we have to believe on our intuition and take a decision in life, however it is you to make it work. And finally Enjoy the journey. I wish you all the best and I am sure that you will create your own footprints and help others to create their own. Cheers & enjoy the moment.